Today we will feature a very fun game that is already one of the most popular games for Chrome. 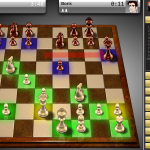 If you like chess, try SparkChess, it has awesome 2D or 3D graphics depending on whichever you want to use when playing. 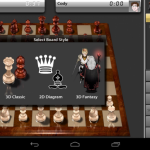 It is very customizable and offers much more than just a regular chess game. You can choose your own characters to play king/queen etc, it’s a pretty cool concept and yes, you can also play it online, free. 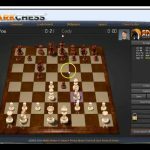 SparkChess is the only chess game that puts fun first. 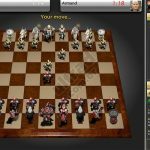 With a choice of boards, computer opponents and online play it delivers a first-class game of chess that’s as accessible to experts as it is to novices, kids and anyone else who wants to discover how enjoyable this ancient strategy board game really is. Choose from different boards: 2D, 3D and a stunning fantasy chess set. A simple user interface that makes games easy to set up and play. Choose from different computer opponents depending on your level. Play casual, fast or expert games to fit your needs. The only chess game designed to appeal to beginners and experts alike. Post your high scores on Facebook. Over 400,000 weekly users to play against. Learn to play, even if you’ve never seen a chessboard before. Large and friendly community of chess lovers from around the world.